With his new book on the Second World War, British historian Andrew Roberts has not only written the single best history of that conflict but has also claimed his place as one of our top historians, says Michael Korda. It is curious that the two best-known British historians in the United States are Andrew Roberts and Niall Ferguson, each of whom represents, in fact, a different school of serious historical writing, and both of whom seem to have gained for themselves, perhaps without intending to, a special reputation on the American right. Ferguson is the more “modern” of the two, a formidable compiler of facts and statistics, who tends to seek in the numbers the explanation for what happened, and to stress sociopolitical trends and economics rather than interesting “human” stories. This kind of “fact driven” history is par for the course in the American academic world, to which it migrated from Germany in the late 19th century, although Ferguson is a much livelier writer than most academic historians in this country, as well as being almost alarmingly prolific. Roberts, on the other hand, who is as much a biographer as a historian, is much more interested in writing a coherent and lively story, in keeping with the more genteel, old-fashioned tradition of writing about history in terms of great men and dramatic moments. He has a certain affection for slightly reactionary figures, or, as we might put it in Britain, Tory icons. His biography of the Marquess of Salisbury, Salisbury: Victorian Titan, is a masterpiece about one of the greatest and most able Tory political figures of the Victorian age, and The Holy Fox, his equally masterly biography of Lord Halifax, explores that puzzling man, whose long career of public service was suddenly pushed unceremoniously into the shadow by his rival Winston Churchill’s overnight emergence as Britain’s war leader. Although Roberts’ sympathies are clearly with well-established Tory figures—Salisbury, Halifax, Wellington—he is by no means a “reactionary” historian, despite claims to the contrary; he is simply following the old-fashioned British tradition of “great man” history, of history told as an ennobling story, and of history told through letters, diaries, documents, and personalities, rather than through statistics or socioeconomic trends. Roberts is an elitist rather than a reactionary. He does not look down on good gossip, and in fact his Eminent Churchillians (which I published) is a model of witty and incisive writing about some of the comparatively minor figures around Churchill, which in the end succeeds in shedding more light on Churchill than a good many of the more lengthy biographies of the great man himself. That is not to compare Roberts with, say, Saint-Simon, but rather to praise him for his unrivaled ability to make even the biography of someone whom one does not at first think of as fascinating, like Halifax, into a thought-provoking and thoroughly readable book. 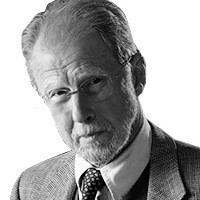 One might not always agree with Roberts, but one never finds oneself skipping a few pages to get on with it—he writes with grace, elegance, and absolute authority, and makes the people he writes about seem far more interesting and sympathetic than we ever suspected they could be, no small talent in itself. I would have said it couldn’t be done, to do the whole of World War II in 600 pages and get it right, not at any rate without leaving out great chunks, but Roberts has managed to do it, and do it superbly well. Of course, since two of his early and most important books are on the subject of figures about whom very few people in America have the slightest curiosity, it has taken Roberts longer than he should have to gain a reputation here. The number of Americans who want to read about Halifax or Salisbury is approximately equal to the number of people in the United Kingdom who might read a long biography of George C. Marshall or Woodrow Wilson, which is a pity, since it has delayed recognition on this side of the Atlantic of just how good a writer he is, and what a pleasure he is to read. This perhaps explains Roberts’ careful but determined approach to subjects of a more general and more transatlantic interest. Although his two major biographies are long and serious books, Roberts has been transforming himself steadily into a historian on a broader, wider, more “popular” and ambitious scale. He wrote a wonderful book on Napoleon and Wellington, a step back in time, but obviously a preparation for a career more oriented toward military history than Victorian or post-Edwardian British politics. His book on Hitler and Churchill was a big, full-scale advance toward positioning himself as a military historian, and after an ambitious pause to write A History of the English Speaking Peoples Since 1900, he moved firmly on to seize the high ground with Masters and Commanders, an excellent book on the combination of political and military leadership that brought the Allied Powers to victory in 1945 and demonstrated that democracies were better suited to fight and win a war than a dictatorship, however fearsome. Now, working at almost the same breakneck pace as Niall Ferguson, Roberts has written a hefty and highly readable history of the Second World War, and written it with a clarity, a gift of sustained storytelling that does not diminish the seriousness and authority he brings to the subject, and above all a fair-mindedness that is rare among historians of the war. For in general, histories of the Second World War in the English language can be divided sharply into those written by Americans, which downplay the British role in the war, and those written by British historians, which downplay the role of the Americans (and also give less space and attention to the Pacific theater than the European theater). Roberts has managed to write a book that both strives and succeeds in giving more or less equal time to both, and also manages to include enough about events in China and the war on the Eastern Front to give the reader a well-balanced and excitingly written account of the whole war. It is about as global a view of that great event as one can imagine, and anyone who has not been reading about the war from 1945 to today in one form or another (as most older people have) would find The Storm of War a remarkably good attempt to put the whole thing into just over 600 very entertaining pages, including a short but interesting and well-reasoned conclusion demonstrating that the person most responsible for Germany’s losing the war was the man who started it, Hitler himself, whose mistakes, delusions, exaggerated self-confidence, and system of government doomed Germany (and its allies) despite the excellence of the German Army and the inventiveness of technocrats like Albert Speer. If you don’t know as much about World War II as you think you ought to, or if you want a good, clear picture of how and why it took place as it did, or if you would simply like to cut through the thicket of multivolume histories, biographies, memoirs, diaries, and letters and get the whole story in one book, this is it. Roberts’ chapter on the Holocaust, for example, is brilliant and harrowing, he leaves nothing out, but he manages to get it all into 30 pages: a miracle. My hat is off to him. I would have said it couldn’t be done, to do the whole of World War II in 600 pages and get it right, not at any rate without leaving out great chunks, but Roberts has managed to do it, and do it superbly well. He is even fair to both Ike and Monty (usually a sure sign of whether the writer is American or British), and concisely gives the reader a good understanding of the German and Japanese commanders and strategy, as well as a description of events that are often given short shrift, like the Burma campaign or the importance of the Battle of Midway. Could one nitpick? Yes, and surely many will, but he has set a standard for concise one-volume histories of the war that will be hard to beat. His scholarship is superb, and the “packaging” of the book, with very good illustrations and ample first-class maps, makes it a real pleasure to read, as opposed to the chore this kind of thing so often is. We are now 66 years away from the end of World War II, and therefore in the same relationship to it that people in the United States were to the Civil War in 1921; time, one might say, for a good account of what has become to most people a great event of the past. The number of people who remember it or experienced it is diminishing daily; time, one might say, for a book like this that sums it up objectively with firm scholarship, a sense of restrained decency, a rare lack of national prejudice, and a determination to get everything into the right sequence so that it makes sense to the reader. Roberts has not only written a good book but performed a valuable service, and I hope it will be read by as many people and in as many languages as possible, whether in print or on a Kindle or its equivalents. The worst crime of the Second World War would be to forget about it, or to ignore what went on and why, or to preserve the mistaken ideas and folklore that have crept into people’s view of it through popular culture (movies, fiction, television) or by national prejudice. The idea that somebody has been able to approach objectively, in the round, as it were, and tell the whole story is amazing, and gives one, for a change, a hopeful feeling about the writing of history. New York Times bestselling author Michael Korda's books include Ike, Horse People, Country Matters, Ulysses S. Grant, and Charmed Lives.